Over the last couple of months, we’ve been talking about toxic stress and how it affects our kids. As promised, this month we’ll get into the risk factors for toxic stress and learn about adverse childhood experiences, or ACEs. While you may not be able to prevent all of them, the more you know about ACEs, the better prepared you’ll be to help your child. I partnered with Stress Health, an initiative of the Center For Youth Wellness, in this sponsored series about the impact of toxic stress on our children’s lives both now and in the future. All opinions are my own. First things first. If you missed the previous articles in this series, I suggest giving them a quick read before continuing. You don’t have to- this piece does stand alone- but it will help. First, learn the definition of toxic stress and how it affects our kids. Then, check out some tips on how to help your child cope with toxic stress. Now, let’s learn a bit about adverse childhood experiences and how to determine your child’s risk factors. 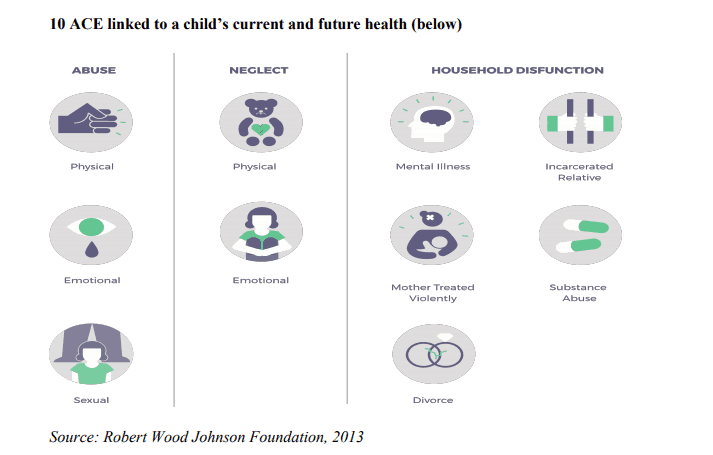 Adverse childhood experiences are exactly what they sound like: traumatic experiences that occur during childhood. If you’re thinking that it sounds like a made-up or trendy “diagnosis of the day,” think again. ACEs are real. In fact, they are recognized by the CDC as an important public health issue. See, ACEs don’t just affect your child today, they can wreak havoc on their future as well. According to a landmark study done by the CDC and Kaiser Permanente, ACEs can lead to ongoing issues such as chronic disease, risky behaviors, disability, and even premature death. While any negative experience has the potential to cause problems, the landmark study found 10 in particular (across three categories) that are linked to current and future health issues. Let’s break them down. Physical, emotional, and sexual abuse can undermine your child’s present and future. Trust me, I know. While I had a loving family that never hit me or emotionally abused me, situations beyond my mother’s control and knowledge led to an adverse childhood experience involving sexual abuse. That singular event had an impact on my life in ways that I can’t even describe. It led to emotional trauma, risky behaviors (which, in turn, led to a second event when I was 14), and a lifetime supply of anxiety and panic. If it seems like I’m talking around it in clinical language, there’s a reason for that. Even all these years later, I can barely say the words and I rarely talk about it. Both physical and emotional neglect are included in the list of 10 ACEs that cause long-lasting damage. I think that most of us understand the concept of physical neglect. It includes things like not feeding your child or not providing them with warm clothes or other basic necessities. Emotional neglect is a bit harder to define, though. Basically, it’s the withholding of emotional support that a parent should give a child. For example, failing to show or tell your child that they are loved. It differs from emotional abuse in that it’s more about what parents don’t do. Kids need their parents to show and tell them that they are good, loved, and have worth. Unlike abuse and neglect, not all of these ACEs are entirely preventable. For example, I grew up without my father. He wasn’t really part of my life until I was an adult. Even then, he called only occasionally and visited even less. My mom was 18 when she got pregnant with me, and she felt like he wasn’t ready to grow up and be a father. She was correct. While he really was a nice guy, he never did grow up. He died when I was 28 as a result of a lifetime of risky behaviors. This heartbreaking video is an example of multiple ACEs. I suggest watching it with tissues. Is your child at risk for toxic stress? If you recall from previous articles, toxic stress occurs when a child experiences an ACE and doesn’t get the right support to cope with it. To better explain that, I’ll use my above example of my fatherless childhood. Yes, it hurt that my dad wasn’t really all that interested in being a father. Yes, there were times that I was sad about it. However, what I lacked in a father was more than made up for by my mom, my incredibly doting grandparents, and my aunts. 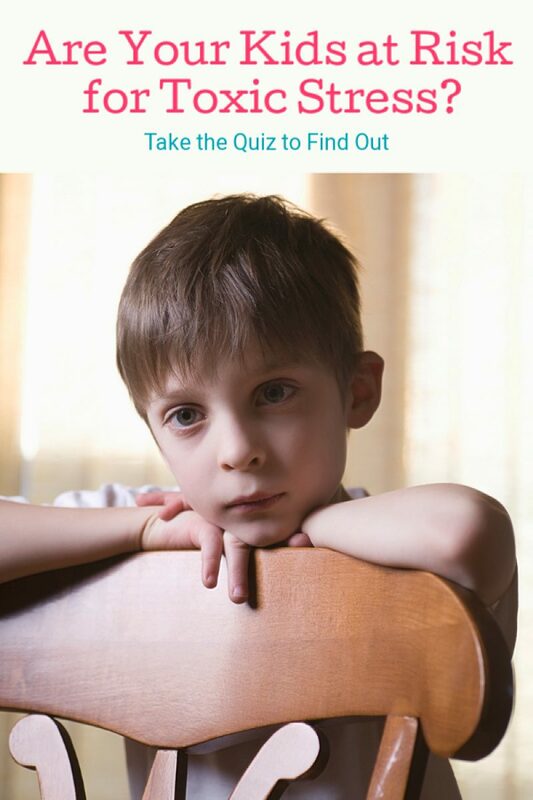 There is a very simple and quick quiz that you can take to help explore your child’s risk for toxic stress. Seriously, it takes less than a minute or so. 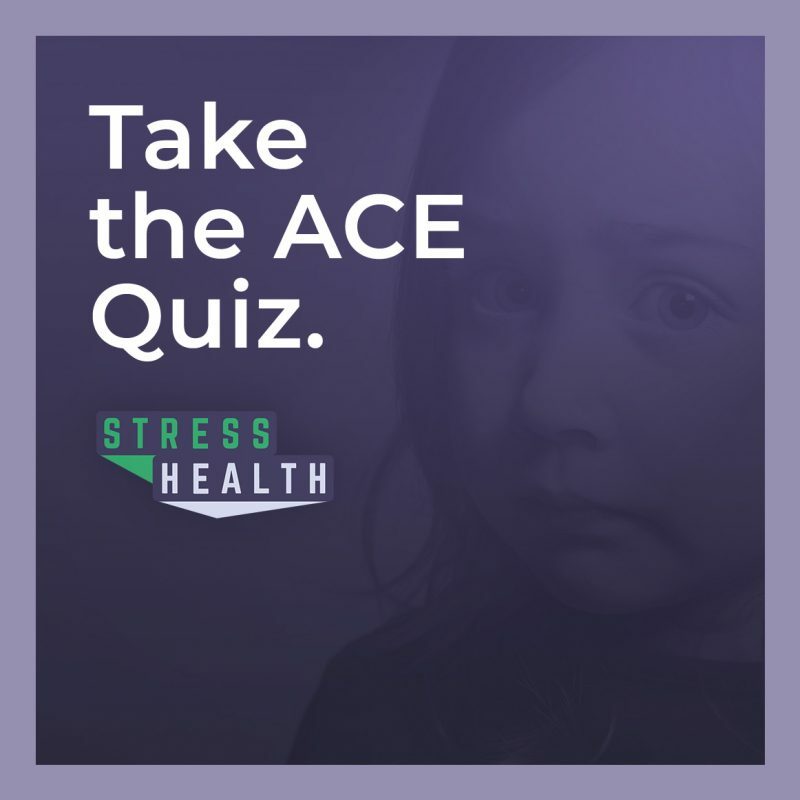 One thing that is important to understand about the results: the risk increases with each ACE, but even if you or your child scored a 1 (if you answered yes to only one question), there is still a risk for toxic stress. The quiz is not a diagnosis and is not a substitute for medical advice; in addition, it doesn’t mean your child will develop toxic stress. Rather, it gives you an idea of the things you should address with a professional, like your child’s doctor or a therapist. Remember, knowing when to ask for extra help is a big part of being a supportive caregiver. While I’ve tried to give you as complete a picture as possible throughout this series, I feel like we’ve still only just scratched the surface of toxic stress and its profound impact on our children’s futures. I highly recommend visiting Stress Health to learn more about toxic stress as well as things you can do to help your child cope. Their Facebook page is also full of tips and information that I found incredibly helpful. Thank you so much for your honest advice and admission. I’m a single mom and I worry, probably way too much, about my son’s future. I really appreciate your help and support giving parents a place to learn and understand how we can be there for our children and just to be better parents for them. I know from personal experience how hard that topic is to discuss so I really wanted to comment and applaud you on your bravery. Sadly too many of us have similar stories. But, thankfully these sites can help us to minimize any trauma we possibly can for our children. Thank you very much!! !